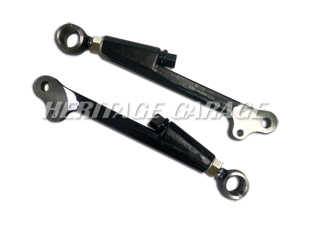 Because the Heritage workshop is using the same parts we sell, our mail order and over the counter parts department carry one of the most complete inventories in the country. If you don't see it here on our site, give us a call or stop by in person and we can help you find the parts that you need. Check out our Billet Aluminum Oil Change Kit! 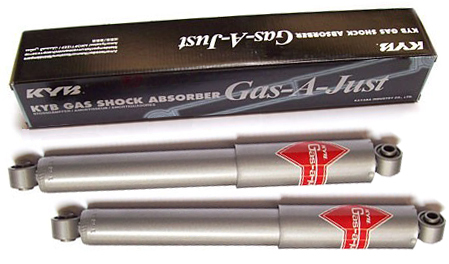 For standard ride height road cars, KYB offers the Gas-A-Just pressurized self-adjusting slimline shocks at a medium price point. 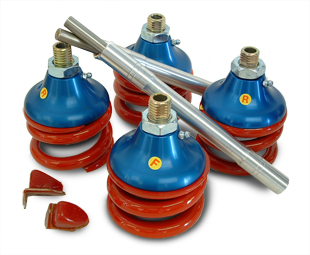 These are the improved monotube shock design, with separate oil and high pressure gas chambers, so no oil foaming can occur in hard use, maintaining performance. Should be installed in axle sets, but are sold each. Poly rebound buffers included. These springs offer the best possible ride quality for your Mini. It replaces either the hydro or rubber suspension with steel coil springs that will greatly improve comfort and handling for your Mini. On car adjustable arms allow you to “dial” in your chamber. Making a difference you can feel. Don’t forget 4 poly bushings. When working with the adjustable lower arms, these allow you to adjust castor. This will let your car turn in/out of a corner much better. Don't forget 4 poly bushings! 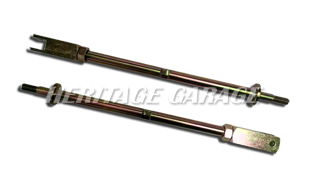 These fully adjustable sway bars are easy to bolt on and are made from high quality hollow seamless tubing. They are powder coated for good looks and corrosion protection. Each kit includes polyurethane bushes and stainless steel mounting hardware. The rear has heim jointed drop links that are positioned on the rear brake backing plates in two different positions while the bar itself offers another five positions for maximum adjustability. We had these light bars manufactured here in the USA to our own specifications. Offering some added protection to the front end as well as a vibration free base for your lights. 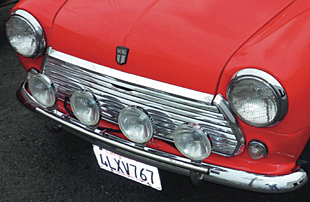 The polished stainless design mounts on all classic Minis without the need for body or bumper drilling. Pre drilled tabs on the bar allow for up to four lights to be easily installed. 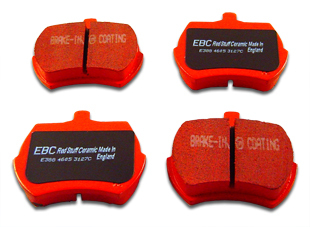 EBC Red brake pads are quickly becoming our new standard for Minis. They have great stopping power and throw very little brake dust on your wheels. Customers have found that they make for an extremely enjoyable driving experience on the street. 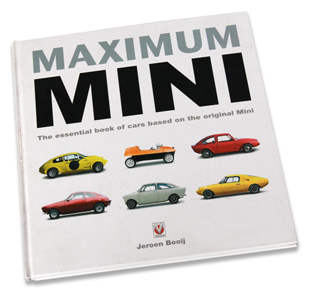 Maximum Mini illustrates the many Mini derivatives. The book is packed with great photos and interesting info.